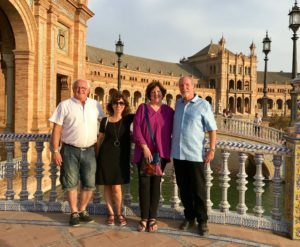 “We have travelled very often for for the last 20 years either using travel agencies or planning trips on our own but I am thrilled with the results of Just Explore planing this wonderful trip to Spain for us. It took me 4 months planing the trip in direct contact with Rosa, the travel specialist and owner of the agency. 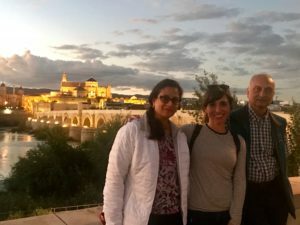 She customized the trip according to my interests in art, music, culture, food and history, including the Sephardic Jewish heritage in Spain. Our accommodation was all 4* boutiques hotels, all located in the historic centres of the cities and very convenient to explore on our own. Just Explore provided an itinerary app for my phone so that all of the information, including travel documents were readily available electronically. 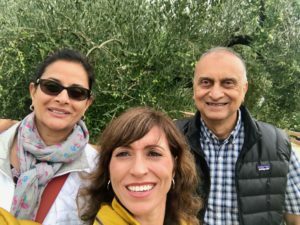 One of the best features of Just Explore is the fact that Rosa met us for few days while we were in Spain, acting as a tour guide for a small privately owned olive oil mill, taking us to Lucena, one of the oldest Jewish communities in Spain, and several times for lunch or coffee. She was a joy to work with and also available any time we needed by phone or WhatsApp messages and was able to change plans when we requested”. 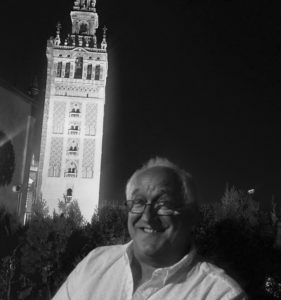 “What a wonderful trip to Madrid and Andalucia! Just Explore was the perfect choice for us in terms of quality and customization. Rosa Lara, the founder and owner loves her country and made us feel like family! 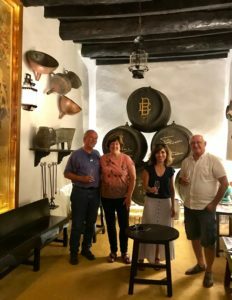 She made sure we were satisfied at every stage in the process and she was even able to meet us for a wine tour in Ronda, which we loved! 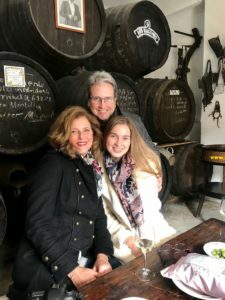 She hand crafted a once in a lifetime experience and we will definitely use her company again when we go back to Spain”. 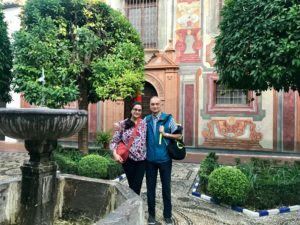 “My husband and I just got back from a fabulous trip to Spain. Our travel specialist Rosa Lara ,thought of everything when planning the itinerary. The airport and hotel transfers were efficient. The drivers spoke English very well and used really good quality cars. Our hotels had a lot of character and charm the staff were attentive and helpful. The tour guides were excellent and very knowledgeable. Always answered any questions asked. 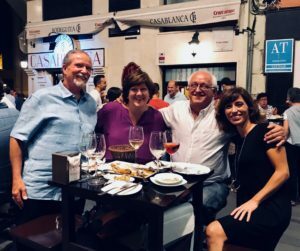 Rosa took us to authentic Spanish restaurants where we sampled the local cuisine and wine, we thoroughly enjoyed the experience. There was a lot of attention to detail provided and Rosa was always available to help. 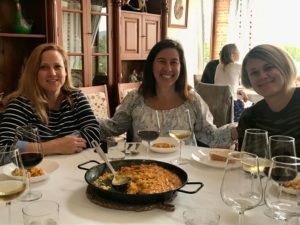 “I took an 8 day trip to Barcelona, Spain and a friend had recommended that I use Just Explore as she did on her previous trip. 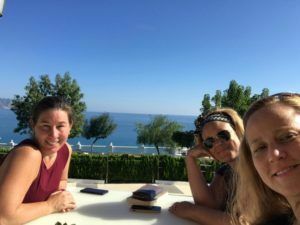 This was my first time to Spain and I was traveling alone, so I knew very little about what I should do and see. Rosa was very warm and helpful in suggesting ideas that aligned with my interests and budget. She was very quick to help me make all my accommodations. The hotel she booked for me was amazing; I loved the location, the delicious included breakfast and helpful front desk staff. I would definitely stay there again when I return to Barcelona. Every tour she booked for me was incredible. I met really great people from all over the world on each one, some that I continued to meet up with during my trip and the staff on each were extremely knowledgable and friendly. 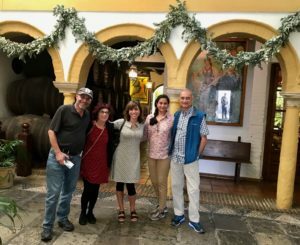 I was blown away at how happy I was with each tour, and each one seemed to get better and better as the trip went on. 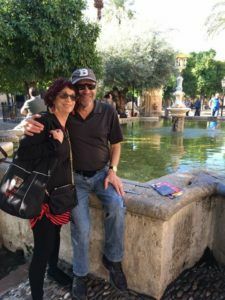 I had a great variety of activities throughout the trip and felt that the tours she booked for me helped me see the city from all aspects. Rosa and her staff were very helpful throughout the trip as well. I could contact them easily if I wanted to add another tour or change anything. 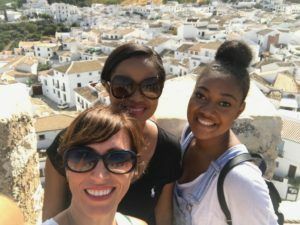 I was so happy with my experience with Just explore that I would recommend them to anyone visiting Spain and I wish I could use them in other countries as well! They made this trip one of the best in my life thus far. “If you are searching for the best tour company in Spain then‘Just Explore’ is it. 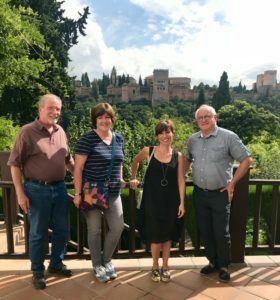 I opted to spend a week on a small group tour visiting Andalusia. I hoped to gather a flavour of a country I had only visited briefly once before. 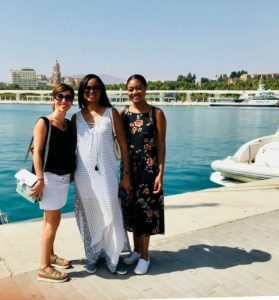 From the initial contact with Rosa Lara, the Managing Director of ‘Just Explore’, I was treated to a level of attention to detail that no other company could possibly match. 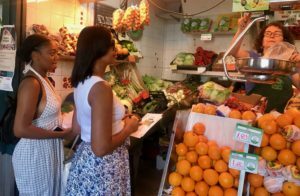 Her deep knowledge of her country allows her to offer tour suggestions that can cater for the very specific interests of each individual. 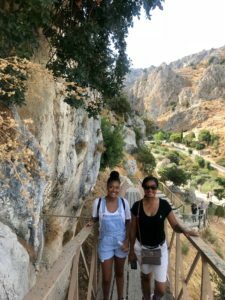 From the beginning our guides took us deep into the vibrant culture, of Andalusia, past and present. Each hand picked guide presented his or her own area of ‘specialism’. 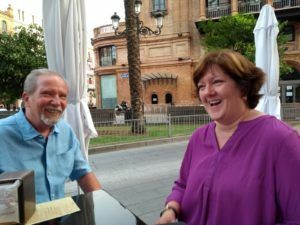 With their different anecdotes and examples, each brought Spain’s history alive and with a very personal passion, openness and honesty, also gave us insights into modern Spanish life. The food, wine, history, music, dance, architecture and traditions of Spain were set before us. We stayed in top quality boutique hotels which were all a stroll from the town centre, making visiting very pleasant, easy and convenient. Our transfers were seamlessly done with drivers who were guides themselves, making the journey even more interesting. 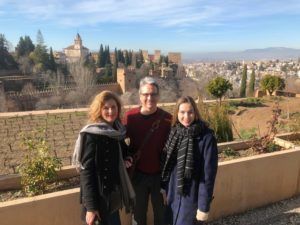 While our visits took in the classic venues on the Golden Triangle of Malaga, Granada, Cordoba, and Seville, Rosa herself took us sightseeing off the beaten track. 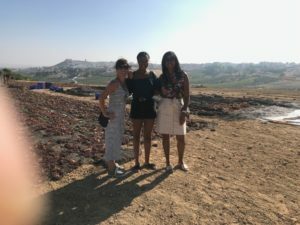 With her we saw the ancient and unique wine production methods used in her home town, and also enjoyed the hidden rooftop splendour of a cocktail bar with a pool. Our table overlooked Seville Cathedral. I found the experience astonishingly well put together. Rosa was sensitive and responsive to each individual at each point on the tour creating an atmosphere that left us relaxed and at ease with each other – all the more amazing, since she was in final stages of her wedding plans! In short the trip was exceptionally well organised. It presented to us, what seemed to be the very ‘soul’ of the country we were visiting. I have no doubt that it was the unique qualities of this particular tour company, ‘Just Explore’which is responsible for it all. I have heard that flamenco dancer Sara Baras is in concert in Cordoba in late November. Who could get me tickets …. ?